Jackson struck first and after a month of his new yob (sic) we went to a fancy place in Manhattan whose basement was an old bank vault. Cool. And the food was delicious. So I got my new job now. Things are going well and we’ll probably go for our steaks in a few weeks. However, I told my steak-loving gf M0ona about those plans and she talked me into buying her one too. Oh okay baby. So that’s coming in a few weeks too. Now, last Friday Mona took me out for a congratulatory meal. A surprise meal of her choosing. And wouldn’t you know it… Steak. 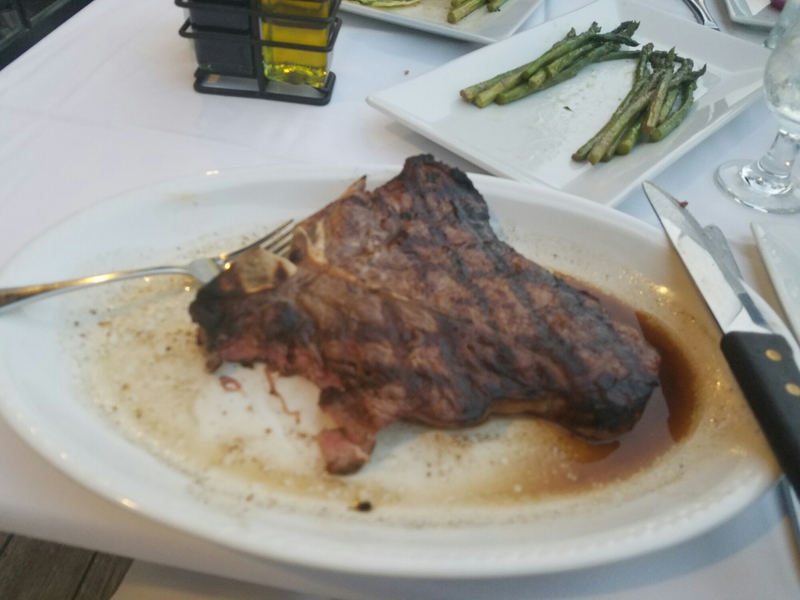 You know, I think I’m done with porterhouse. I’m going filet only from now on..I hate all that fat. 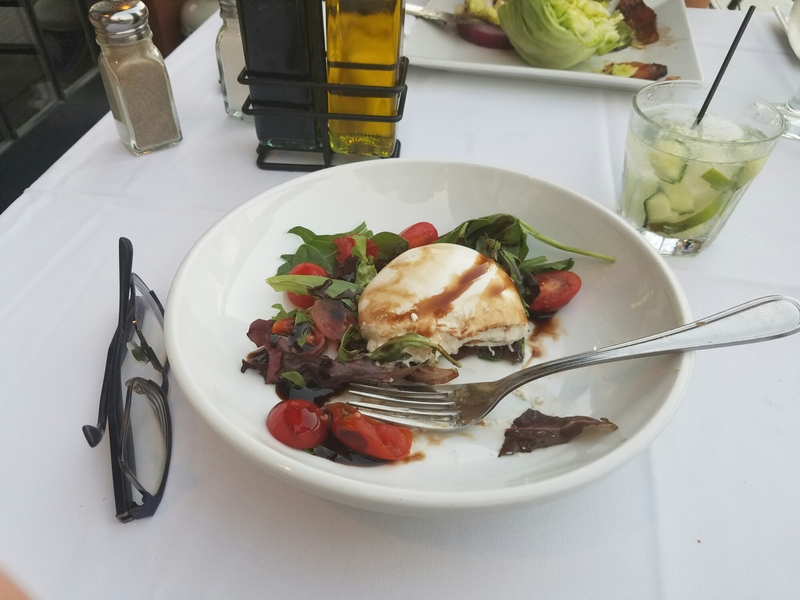 And also, they had burrata mozzarella for an appetizer. Yes, please. Thank you. Absolutely fantastic.